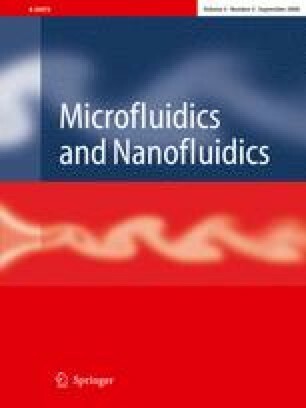 The present communication reports a three-way strategy on utilizing a newly developed continuous high-pressure, high-temperature micro-fluidic reactor to synthesize and modify nanoparticles (NPs) and produce catalytically relevant materials in one flow. Well-defined platinum nanoparticles have been synthesized within a few seconds and in a highly controlled fashion. By changing the applied temperature, flow rate and the type of solvent, the size and the surface morphology of the resulting nanoparticles was changed and tuned on-the-fly. It was also shown that the primarily synthesized NPs can be successfully modified further by using them as seeds in the same flow from where they were formed, by applying the seeded growth method, which resulted in increased particle size and the formation of well-defined but randomly distributed shapes. Furthermore, after synthesizing, the Pt nanoparticles were adsorbed onto the surface of well-known support materials in the same flow to provide in situ production of commercially relevant Pt/SiO2 catalysts. The in situ prepared catalytically active materials were tested in the hydrogenation of cinnamaldehyde and showed high activity.